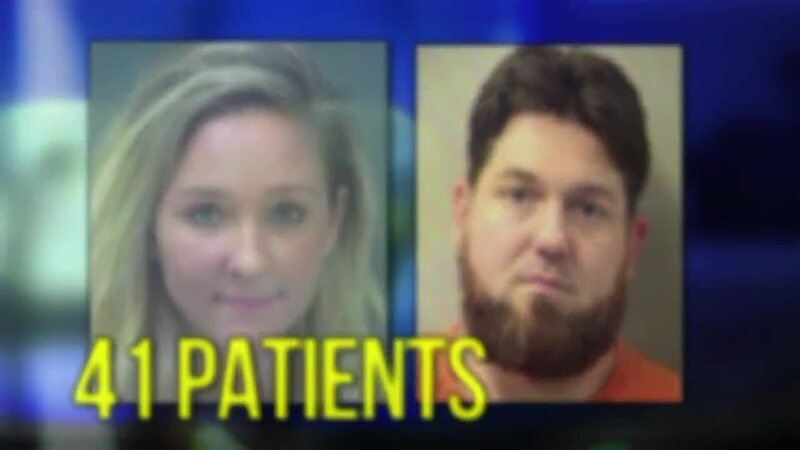 Two Florida paramedics are facing charges after taking photos with their patients. This was apparently brought on by a "selfie war" between the two that went on for eight months. The Okaloosa county paramedics, Kayla DuBois and Chris Wimmer, took photos with 41 of their patients in the back of their ambulance. They sent the photos to each other, other paramedics, one of their deputies -- and potentially millions on social media. The Okaloosa County Sheriff's Office Facebook page released some disturbing details about these selfies. Apparently, DuBois and Wimmer would send each other texts to "up their game." "Many patients were intubated, sedated, or otherwise unconscious at the time," the Office said. "A total of 41 patients were initially identified. Two are since deceased and three instances appear consensual. Of the remaining 36 patients, 19 are female and 17 are male. They range in age from 24 to 86. Five are homeless," they continued. The Smoking Gun said that one of their patients was "an elderly woman with her breast exposed." According to County Sheriffs Office, the two may each face five years in prison. The use of cell phones is now banned in ambulances.